This powerful image is of two vulnerable children who live nearby to a junkyard in Kathmandu, the capital of Nepal. Every day they search the junkyard for something useful that they can resell for money so they can buy food. 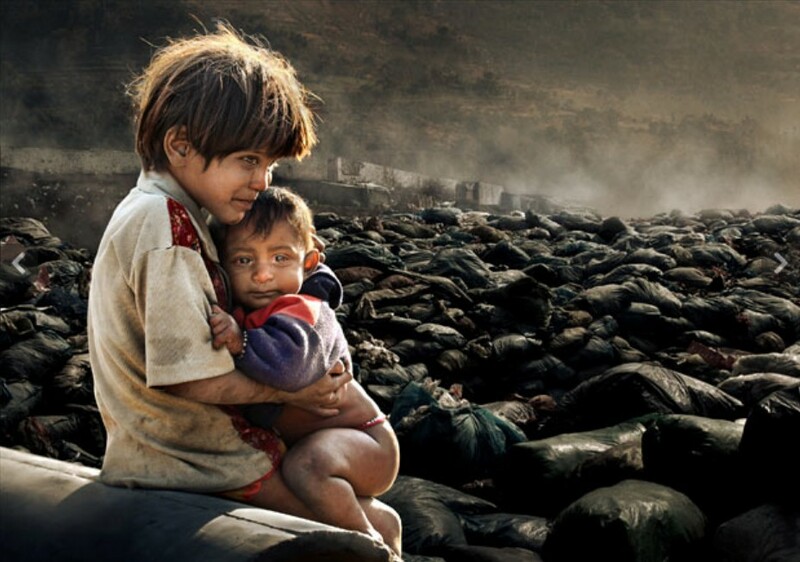 For this heartbreaking iconic photo, the photographer Chan Kwok Hung from Hong Kong won the title of CIWEM Environmental Photographer Of The Year 2011. April 25, 2013, a garment factory building collapsed in Savar, near Dhaka, Bangladesh, due to the structural faults, claiming more than a thousand lives. 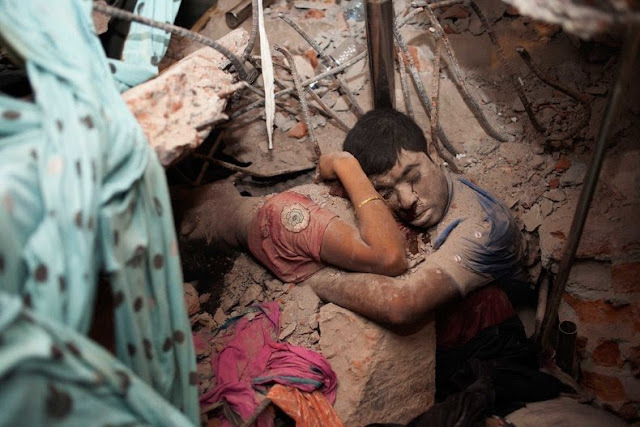 The two victims shown on this iconic photo are amid the rubble of the collapsed building. The lower parts of their bodies were buried under the concrete. 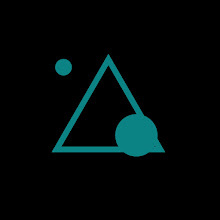 The blood from the eyes of the man ran like a tear. This image, while deeply disturbing, is also hauntingly beautiful, which stands perfectly for "The Most Haunting Iconic Photograph From Bangladesh". 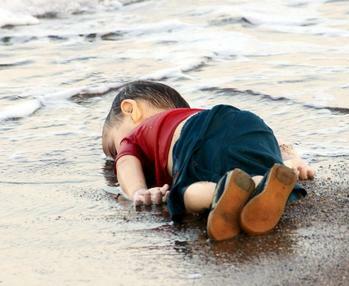 This image is of a three-year-old Syrian Refugee after a failed Smuggling, that made global headlines as The Most Heartbreaking Photo in September 2015. 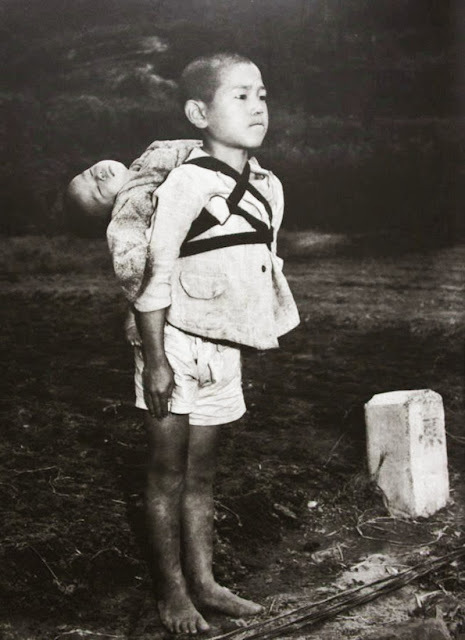 Joe O’Donnell, the man who took this famous historic photo at Nagasaki shortly after the bombing. 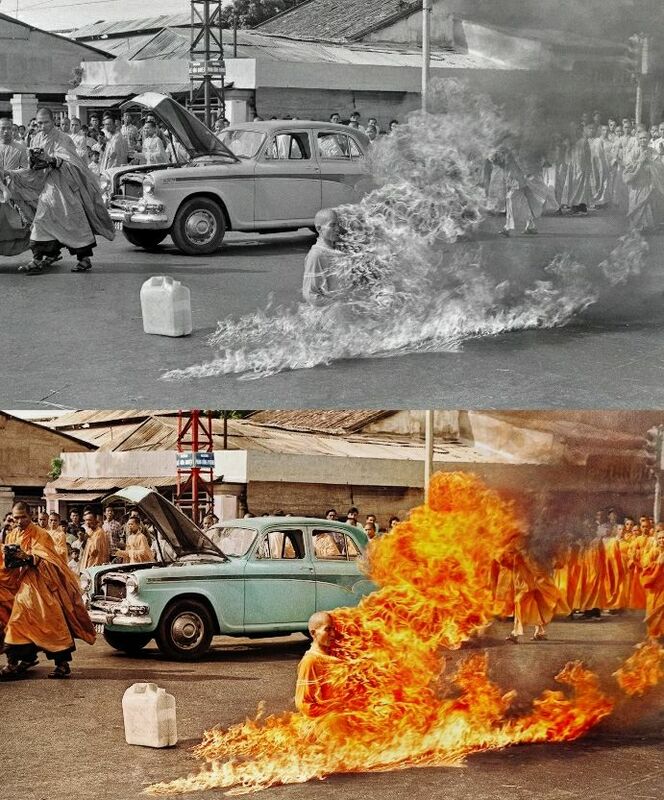 The younger kid in the picture was dead, and the elder boy carried his dead brother to a crematorium, watching him burn but still holds himself from crying. Turkey was responsible for the 1915 Armenian Genocide. 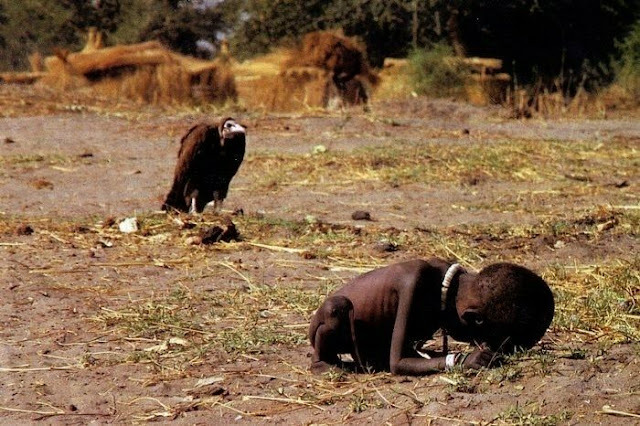 This is a photo of a Turkish official teasing starving Armenian children by showing bread. 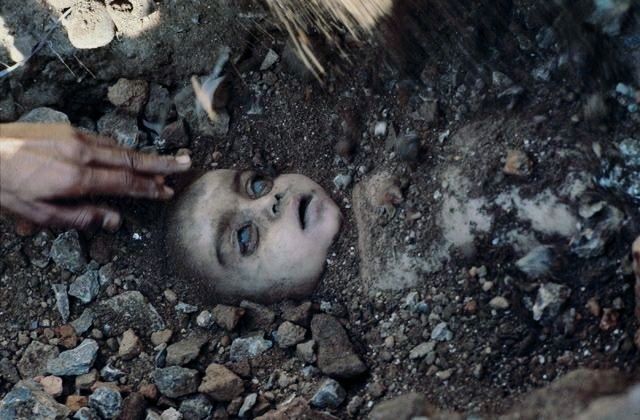 In December 1984, India underwent the most horrible industrial disaster of a poisonous gas leak that is known as the Bhopal Gas Tragedy. It killed several thousand people including this sinless child, photographed as it was being buried; and injured more than half a million. 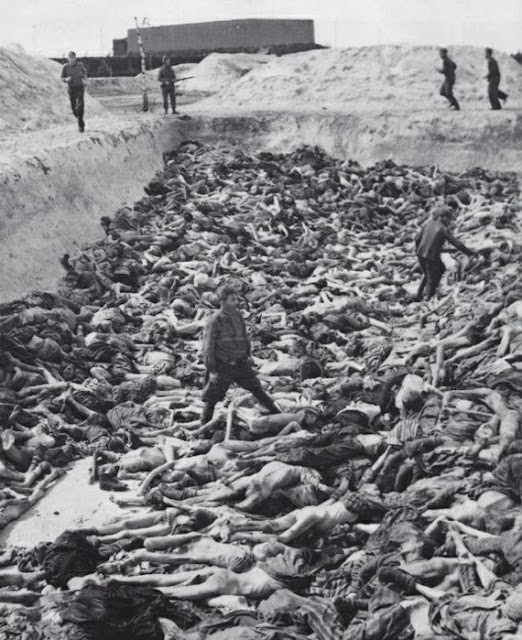 It's a photograph that depicts the unforgettable infamy of Mass Grave 3, one of the Nazis concentration camps where over 50 thousand people were killed. The man standing among the dumped bodies is the camp doctor named Fritz Klein, who was hanged in December 1945 for his cruelty and brutality. 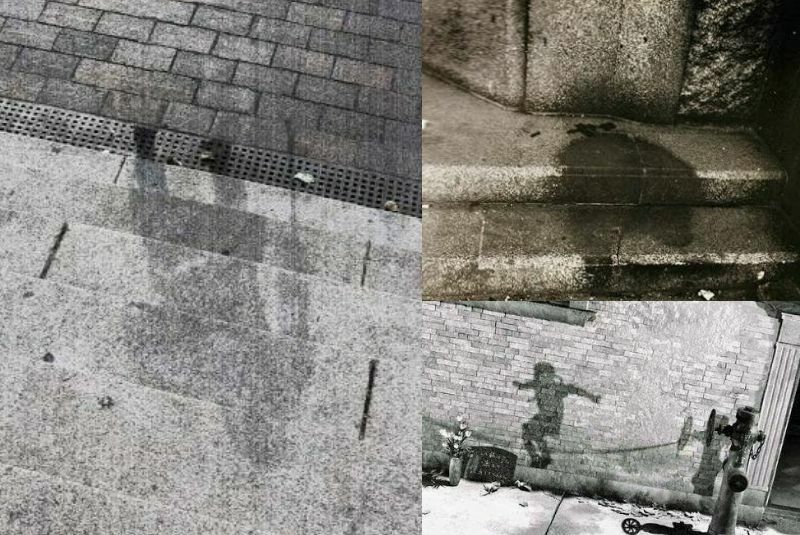 When the atomic bomb was dropped on Hiroshima, the blast was so intense that the radiation from the explosion created permanently burned shadows of people and objects into the ground and walls.